THE pair of Jeriel Manlimbana and Paciano Gulle for Team E2M Worldwide Company on Thursday, January 10, wiped out the tandem of Johnnel Balquin and Yasser Macadatar, 2-0, to take the solo lead in the ongoing 6th Kuyamis Dalawahan Chess Festival at the Capitol Chess Park in Cagayan de Oro. Manlimbana and Gulle earned 7 match points with still one round left in the elimination round for the big four. The Malaybalay City pride Manlimbana outwitted Balquin in a two Bishops against a couple of Knights mid-game squabble. "Kulbaan sab ko kay idol baya nako si Balkimir, though i know nga theoretically molamang gyod ang duha ka hait nga Bishops," Manlimbana told Sun.Star Cagayan de Oro. MD Chess, powered by Rodney Opada and Gomobar Balabagan Jr., and Avila Chess bannered by Bobby Salomon and Silverio Abasolo, prevailed against Ikaw na Bahala of the Arroyo brothers (Mario and Oscar) and San Miguel Light (Jokorn Maestrado and Jake Gonzales), respectively, to post a similar 6 points each. "Kon modaug `mi sa fifth round makasulod pa `mi sa top 4 semifinals mao grabe amo paningkamot kontra nila Jokorn," said Salomon whose tandem with Clyde Saraus for Team Revenge emerged victorious in the recently-held Dalawahan chessfest in Balingasag, Misamis Oriental. Bankrolled by the Provincial Government of Misamis Oriental through Governor Emano, the Kuyamis Dalawahan chess team tourney offers P6,000, P3,000 and P2,000 plus trophies to the top-three team finishers. 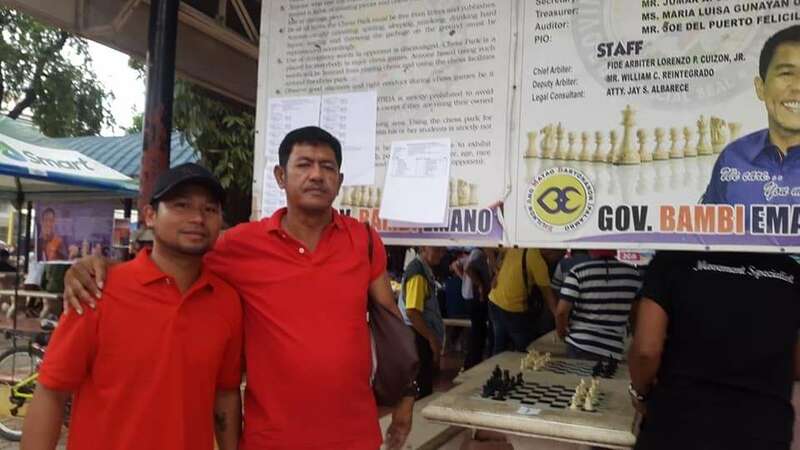 On January 12 to 13, top pawnpushers in Mindanao are expected to gather once more in Barangay Tablon, Cagayan de Oro for the cash-rich 2019 Tablon Fiesta Chess Team Tournament with the major prizes of P20,000, P15,000 and P10,000 awaiting the winners.